This photo album holds 200 4-inch by 6-inch photos in optically clear plastic pockets with memo area. 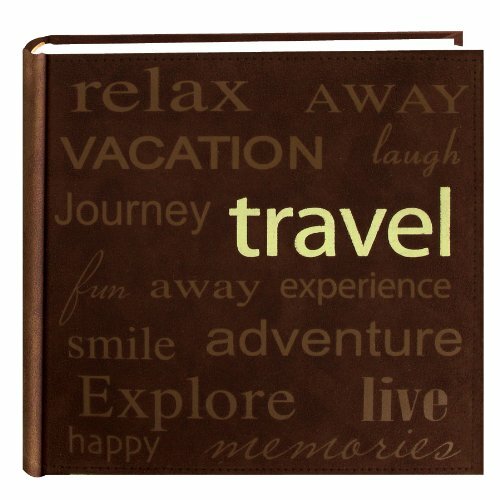 It features a "Travel" text designed cover. The album is bookstyle bound in brown sewn faux suede. Photos are displayed two per page.